Will smartphones soon replace wallets? If there are two things that most of us carry with us every waking moment of the day, it's our phones and wallets. So, in the name of convenience, some of the biggest technology companies are hard at work to combine the two. By giving your smartphone the ability to make payments at retail locations, you may never have to fumble with physical cash or credit cards during checkout ever again. So, just how close are we to a world of virtual wallets? Let's take a look. 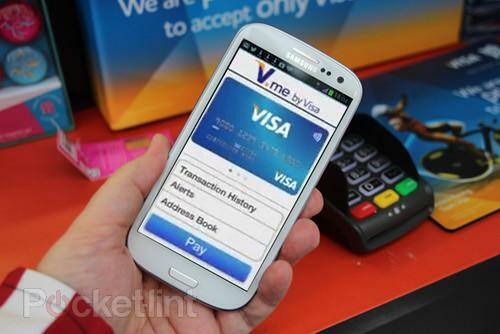 The technology powering smartphone payment systems is called "near field communication," or NFC. It is essentially a short-range radio transmission. Devices with NFC capability have a special chip that sends signals to other NFC-equipped devices within an inch or so. The short range helps ensure security and streamlines the digital payment: You just touch your phone or tablet to the payment terminal and voila you’ve paid. The NFC payment software works just like a built-in smartphone app and can be loaded with multiple debit and credit cards, which allows you flexibility at the register. This payment information is typically stored in the cloud, and can be accessed on any device that uses near-field communication for payments. Because your information is stored on a server, you have to enter a passcode to access your payment information. This makes the system far more secure than a standard credit card. For instance, if your phone is stolen, the thieves won’t be able to use it to make payments without your passcode. When tapped against an NFC-enabled payment receiver at a retail store, your credit and debit card information is transmitted securely. Digital wallets save you time at checkout and because your payment information is kept secure behind online firewalls, it can be safer than the tradition of credit cards and cash payments. Actually, it's already arrived. Android devices are currently leading the virtual wallet movement, and there are currently a dozen or so smartphones and tablets that offer the feature. Google Wallet has emerged as the frontrunner of NFC software, and has already reached agreements with more than two dozen merchants to carry NFC terminals in their stores. Foot Locker, Old Navy, CVS, RadioShack, and Macy's are just a few of the retailers where you can use your smartphone to make purchases. However, Google isn't alone, and a number of companies are attempting to carve out a piece of the virtual wallet pie all for themselves. Google Wallet may currently have the most promising — and widespread — approach, but PayPal, Visa, American Express, and even wireless carriers want to offer their own versions of NFC payment software. Verizon even prohibits its customers installing Google Wallet due to the competition between the companies. The competitive approach to NFC payments isn't helping any of the various companies gain a decent foothold. And while the concept of a virtual wallet can be confusing on its own, having multiple versions to choose from exacerbates the problem further. The company's trademark approach to new, unproven technology has always been to sit back and see whether it floats or sinks before making a move, and virtual payment technology is no different. Because of this, Apple has yet to release iPhones with NFC chips. Apple launched its Passbook app last September, which helps organize coupons, gift cards, and event tickets from select retailers like TicketMaster, Starbucks and more. The information stored in Passbook is scanned instead of transmitted like the NFC system. Because of that, the app can't be used to make payments from debit or credit cards, so the chances of it replacing your wallet are low. If Apple were to jump in the mobile payment pool with its own NFC model phone, it would not only mean including the technology in a future iPhone in the first place, but also be the launch of something much bigger: Apple's own payment software. Based on its Maps fiasco, it’s clear Apple would not leverage the NFC path forged by competitors like Google. At this point, it's difficult to predict whether virtual wallet technology will indeed kill off physical debit and credit cards anytime soon. With so many companies interested in profiting off of their own NFC offerings, it's likely going to be a number of years before a dominant platform emerges. Until then, make sure you don’t lose your old reliable wallet.